Malawi Day Celebrations – I am because we are! 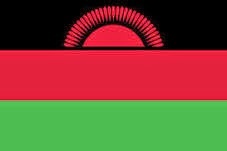 On Sunday 6th July its Malawi Day and there will be live music, fun games and activities, stalls, live Wimbledon Men’s Final on a big Screen and a delicious afternoon tea for all the family to celebrate and raise money to keep Malawi girls in school. Dignity is a charity set up to raise awareness of the plight of girls; in Malawi an average girl misses one week a month of school because of the lack of menstruation provision. This problem can be solved and costs £10 per girl and will last her through her education.